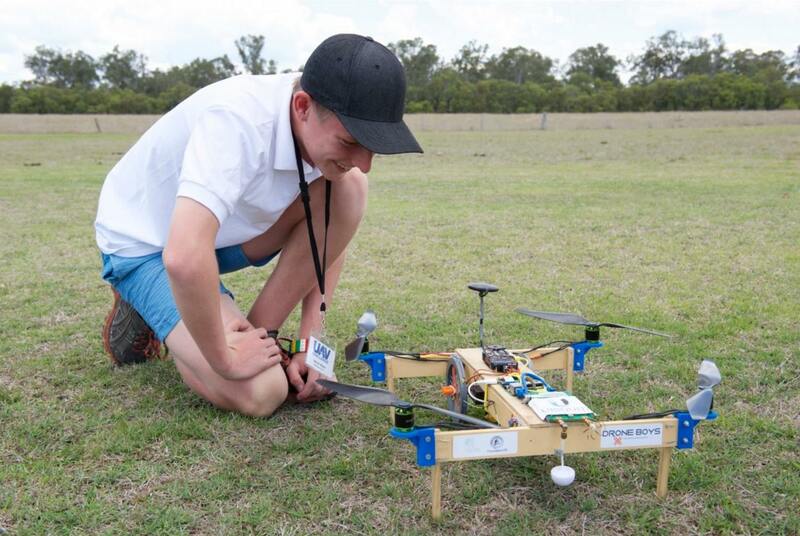 Explainer: what is FPV drone racing? The new sport of drone racing sees small but very fast robots fly around a circuit littered with obstacles. Unlike motorsports we are familiar with, the course of a drone race can be three-dimensional, with obstacles they need to fly around, under, over and even through. The pilots stay on the ground but they fly with a view as if they were sitting in the aircraft. This technique is known as first-person-view, or FPV, and you will often see the sport referred to as FPV drone racing. system-guide/”>FPV, and you will often see the sport referred to as FPV drone racing. Drone racing began as an underground activity. Early races took place in empty car parks, and parking garages are still a favourite venue for drone racers. Forests are also a perfect venue for drone racing enthusiasts, possibly inspired by the speeder bike chase scene from the Star Wars movie Return of the Jedi. The secret of drone racing’s rapid development lies in the technology needed to participate. Nearly all of the required components are relatively cheap and quite accessible. This is the exact opposite of most motor sport. The main elements of a drone racing set-up are the drone itself, an on-board video camera, a decent video transmitter, a pair of immersive video goggles and a set of remote controls. All of these components are now just one internet order away. A cheap set-up could be assembled for a few hundred dollars. Unlike Formula 1 car racing, you can build a racer at home and enter yourself into a race competition. This is something for the masses to actually do, which is an exciting prospect for the armchair sports enthusiast. Even a paper plane FPV drone is now available. You fold a paper plane, just like you did when you were a kid, and you then install the motors, autopilot and camera system. You use your smart phone in a box as your FPV goggles. Setting up a homemade drone for the next round. The main reason drone racing is cheap is because there are no people on-board and hence the drones are very small. Some of them are tiny; they only need to be large enough to carry the video camera, battery and some electronics. This also means that the sport is not overly hazardous to those in the immediate area. Even though the drones race up to speeds approaching 150km/h outdoors, indoors their speed is more limited due to the proximity of obstacles, and they typically weigh only hundreds of grams. Some of these drones fit into the palm of your hand. The nature of the courses also means that the chance of impact with the humans controlling the drones or spectators is quite low. The courses are deliberately set up that way. When flying outside, drone racers must operate according to their country’s specific airspace regulations, which differ among nations. Some are up-to-date and consider the use of drones, while others are more outdated and the use of drones is complex and sometimes even impossible. The motivation for strict controls is to keep people not involved in the flying out of harm’s way and also reducing the risk that a drone could fly away and pose a serious hazard for a regular aircraft carrying people. All regulators are grappling with how drones will regulated as people get more into FPV racing. When racing indoors, there are no air space regulations for drone racers to worry about. This is one of the reasons that racing around empty car parks, warehouses and office buildings is popular. The rapid rise of drone racing is already showing that this will be a big money sport. In 2015, Chad Nowak from Brisbane, Australia, was crowned thefirst world champion of drone racing. His first prize was A$15,000 and he had only been drone racer for a year. He has now moved to the US to be closer to the centre of the big prize money drone racing scene. As the sport grows, it is inevitable that leagues will form, sponsorship will be attracted, and there will be regional and national champions. In January 2016, an organisation called the Drone Racing League (DRL) announced that it had secured A$8 million to run an international FPV drone racing series. Like modern Formula 1 racing, where the viewer at home can see a live video stream from the cars, DRL says that it will give viewers a customisable view from the drones. Other rival leagues and events are forming as interest grows. And just like most existing motorsports, unfortunately, it is clear that drone racing is starting out with major gender inequality issues. The DRL has one female pilot out of the 17 listed. An innovative drone racing group in the Gold Fields of Western Australia is trying to use the new sport to attract tourists to their region. Their videos from drones racing over spectacular desert-like landscapes are reminiscent of pod racing scene in Star Wars The Phantom Menace. Drone racing is such a new activity that it is hard to predict if it will become a major sport to rival established individual racing sports. It may be quickly superseded by the next big thing in tech. Jet pack racing anyone?